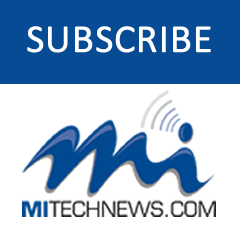 EAST LANSING — Engineering researchers at Michigan State University have developed the first stretchable integrated circuit that is made entirely using an inkjet printer, raising the possibility of inexpensive mass production of smart fabric. 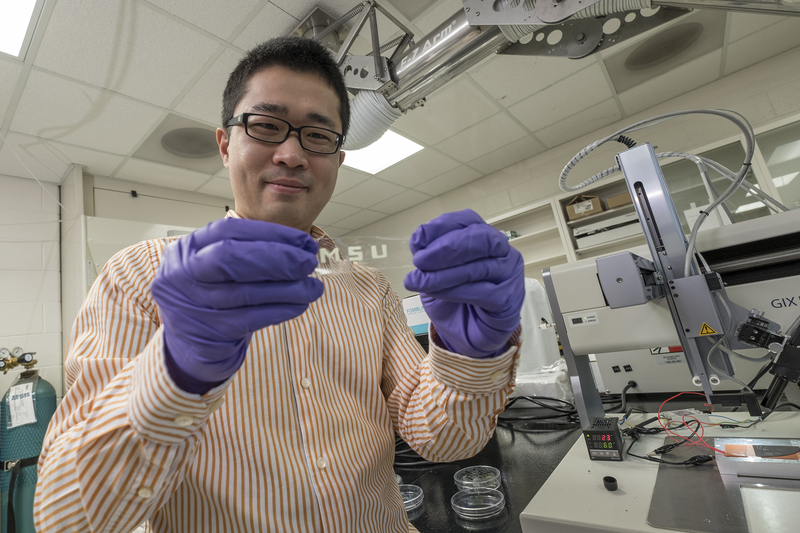 These are some of the potential applications of the stretchable smart fabric developed in the lab of Chuan Wang (pictured above), assistant professor of electrical and computer engineering. And because the material can be produced on a standard printer, it has a major potential cost advantage over current technologies that are expensive to manufacture.